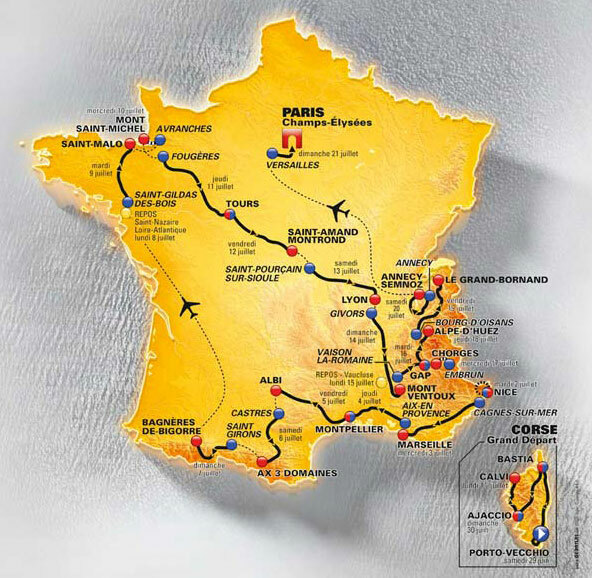 The 2013 Tour de France starts on Saturday June 29 in Corsica, and finishes three weeks later on the Champs Élysées in Paris on Sunday, July 21. We will be covering the race in full, with daily live text coverage, stage reports, photo galleries, rider interviews, podcasts, post-stage analysis and much more. Was Sunday (stage nine) a missed opportunity for Froome’s rivals? We will be covering every stage of the 2013 Tour de France with live and interactive text commentary, in association with Castelli Cafe. Tour de France 2013: Who will win? Would Sky be better with Sean Yates as DS? Tour 2013: Who will win the green jersey? Can Mark Cavendish claim yellow in Corsica?